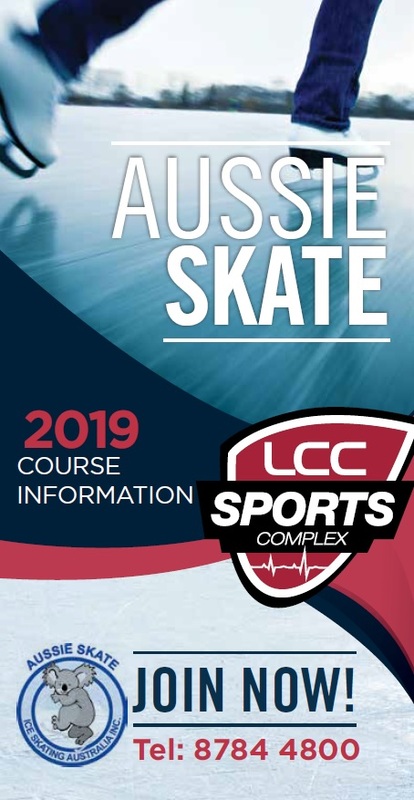 Whether you want to skate for fun, fitness, or for competition, the nationally recognised Aussie Skate program will teach you all the moves you need to be a confident and capable skater. Lessons run on Tuesday afternoons between 4:00-7:00pm and Saturday afternoons from 1:00-4:30pm. -Provides a good background for joining the LCC Saints Ice Hockey Club or Figure & Synchronised Skating Club. - Great learning environment for all ages. - Lessons missed must be made up throughout the term otherwise they are forfeited. How do I enrol in Aussie Skate? Enrolments usually commence 3 weeks prior to the start of the term. - adult membership is $7 and junior is $4 for the calendar year. Aussie Skate terms are running according to NSW school, a bargain at $18 for a lesson with an accredited coach! of practice time either before or after your lessons for FREE (within Aussie Skate time). a make up lesson can be arranged with Skate Hire staff for an alternative day.